Rate this project The first official Gentoo Linux release of the year is out: "The Gentoo Release Engineering team proudly announces the release of Gentoo Linux 2006.0. Gentoo Linux 2006.0, the first release in the 2006 series, represents improvements across many architectures since the 2005.1 release. Major highlights in the release include KDE 3.4.3, GNOME 2.12.2, XFCE 4.2.2, GCC 3.4.4 and a 2.6.15 kernel. This is also the first release with the Gentoo Linux Installer officially debuting on the x86 LiveCD, which will fully replace the Universal and PackageCD set. 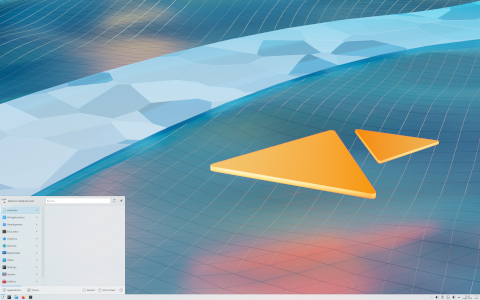 The LiveCD also features a fully-fledged GNOME environment." Read the full release announcement for more details. The new Gentoo 2006.0 is available for free download from the project's download mirrors, via its bouncer system or the BitTorrent server. A quick link to the new Gentoo live CD for the x86 architecture: livecd-i686-installer-2006.0.iso (697MB, MD5).